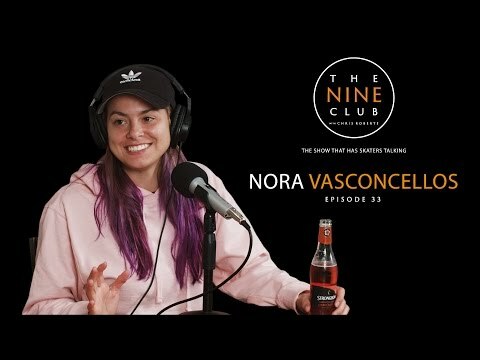 The Nine Club fires up the work week with an all new episode featuring Nora Vasconcellos. Over adult beverages she discusses growing up in Massachusetts, her introduction to skateboarding, heading out west, making the move from Hoopla to Welcome Skateboards, getting on adidas, and much more. Deathwish’s newest am Jamie Foy sits down with Chris Roberts, and Kelly Hart to discuss his introduction to skateboarding, being on rep flow, getting on Deathwish, filming for Ty Evans’ new film, his newest part that just dropped on Thrasher’s website and much more. Grab a seat and listen in. 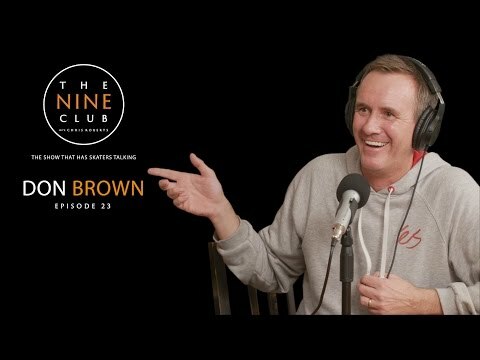 Don Brown discusses being the 1989 world freestyle champion, having to take a “creative retreat” with éS Footwear then bringing éS back, being on the board of IASC, how he came up with the idea for Go Skateboarding Day, skating on the 405 freeway, tough guy shots and much more…. Chris Roberts, Roger Bagley and Kelly Hart sit down with Jason Hernandez to discuss his history and involvement with shooting and editing several of the best skate videos over the years, creating renowned DIY spots, the current state of full length skate videos and much more in this 19th episode of The Nine Club. Looking for some legit background info and highlights of the daily hustle at SF’s Embarcadero in the early 90s? Tune into Episode 20 with Mike York where he brings up the nicknames, some of the tricks and memorable moments that etched EMB into skateboarding’s history. These recent episodes and others are well worth the time to listen in as you work away through the day or sit in a vehicle on those long drives. This is the reason why The Nine Club is our current Site of The Week!